Last year, the federal government set a lofty goal of boosting agri-food exports to $75 billion annually by 2025 — a whopping increase of $20 billion in seven years. But unless it takes some serious action quickly, Ottawa is already on track to miss the mark — and that would be a big blow for Canadian producers who are struggling with inadequate trade infrastructure to get their products to market. The 2018 federal budget hardly mentions agri-food, let alone any measures aimed at increasing exports. If the government is serious about increasing exports, the place to start is trade infrastructure, such as roads, ports, railways, waterways, airports and pipelines. Our problem isn’t inability to produce more crops, it’s our inability to get goods to foreign markets. It is not much of an exaggeration to say that our government officials responsible for trade promotion in Asia spend half their time working on opening markets and increasing market access and the other half apologizing for delays in delivering products to markets. To meet our export goals, we must not undermine our own exports. Look at our rail network, for example. This winter’s cold weather and heavy snow once again affected rail shipments that haul western wheat, canola and barley to ports for export. The resulting backlogs and major delays throughout the system impacted shippers of all products: grain, potash, pulp, chemicals, oil, steel-making coal — the list goes on. If this sounds familiar, it’s because there were also major bottlenecks in the winter of 2013-14, following a record fall harvest in western Canada. That gridlock alone cost producers about $8 billion. Yet it seems little has changed since then to address some of the deep-seated, structural issues, such as where to invest in more assets and capacity, to sustainably and equitably improve our systems to move goods to and from markets. 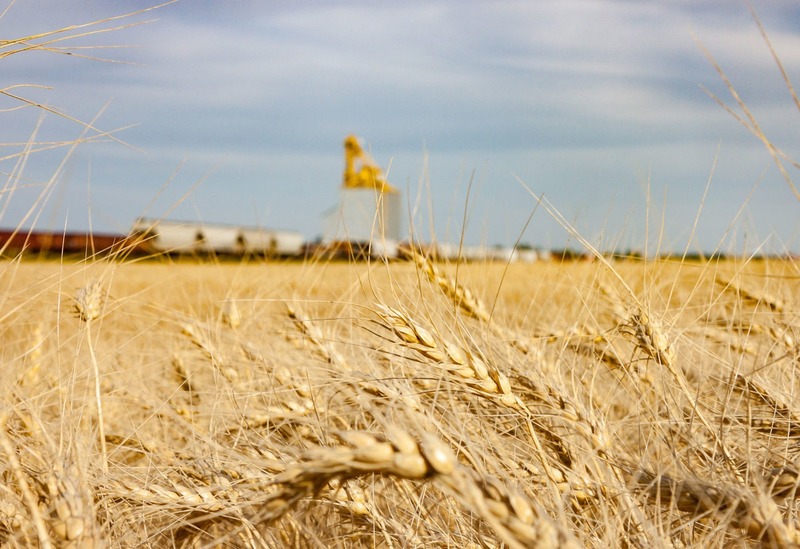 Although Ottawa recently passed the Transportation Modernization Act (Bill C-49), it remains to be seen whether its measures aimed at improving the shipment of grain by rail will address current problems, or whether these measures will simply pass on bottlenecks to other shippers. Pointing the finger at railway companies is all too easy, but that doesn’t solve the deeper problems. Another critical but largely ignored issue hampering our trade transportation network is the lack of system-wide data. While Canada has good data on the movement of grain, the broader picture, such as how the movement of grain will impact the movement of other goods like timber and televisions, is lacking. The Canada Infrastructure Bank, set up in 2017, could help on this front. So far, however, the federal government seems to be focused on using it to pay for projects like public transit, green infrastructure and transportation corridors. There would be real value to using it as a “logistics knowledge bank” to improve the planning, return on investment, supply and production chain optimization elements of infrastructure planning — something most of our competitors do. The problems with our trade infrastructure are about to get more costly, in that we now have huge new opportunities but lack the means to make good on them. Canada recently signed major new trade agreements that open Europe (CETA, the Canada-European Union Comprehensive Economic and Trade Agreement) and Asia (CPTPP, the Comprehensive and Progressive Agreement for Trans-Pacific Partnership) to Canadian exporters. Our firms have significant advantages in these markets, such as in tariffs and rules of origin, that US exporters, often our biggest competitors, do not. But the biggest advantage for Canadian producers is that these new agreements are multilateral: they have a single set of rules for both the 27 economies of the CETA countries and the 11 economies of the CPTPP countries. Canadian firms doing the paperwork to clear a good for one market, such as Germany, also get clearance to sell the good into all the other EU countries. If Canadian firms sell a good to a company in a country that is part of a multilateral agreement, that company can use the Canadian input to make things to sell to other countries that are part of the agreement, which makes the Canadian input more attractive. Again, the Americans have none of these advantages and opportunities while we have them all. Yet we now risk squandering these opportunities and, with them, any hope of meeting the government’s agricultural export targets, if we cannot get our goods reliably to foreign customers — or even if the perception in foreign markets is that, as in the past, we are unable to deliver. If ever there was a time to get our trade infrastructure house in order, now would be it. If the federal government is serious about meeting its goal of $75 billion by 2025 in agri-food exports — an additional $1.28 billion per year for the next seven years if growth in agricultural exports holds steady at 2.7 percent per year — it needs to act.